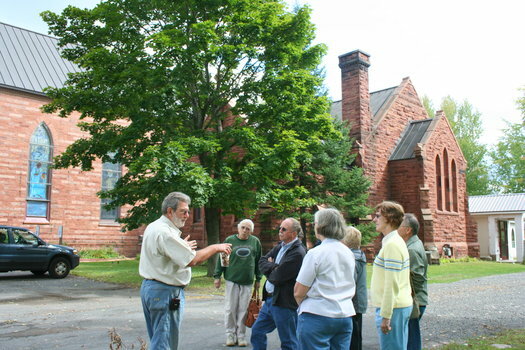 The 2012 sandstone festival had walking tours of downtown Potsdam, Bayside Cemetery, Clarkson Hill Campus and Clarkson Downtown Campus buildings. 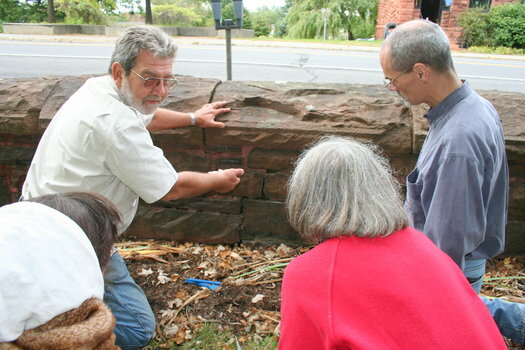 We offered a PowerPoint presentation on the history of sandstone, offered a walking tour of the Red Sandstone Trail in Hannawa Falls with geologist Jim Carl, and a demonstration of repairing mortar joints in historic buildings. Below: A few participants get to try some mortaring techniques!